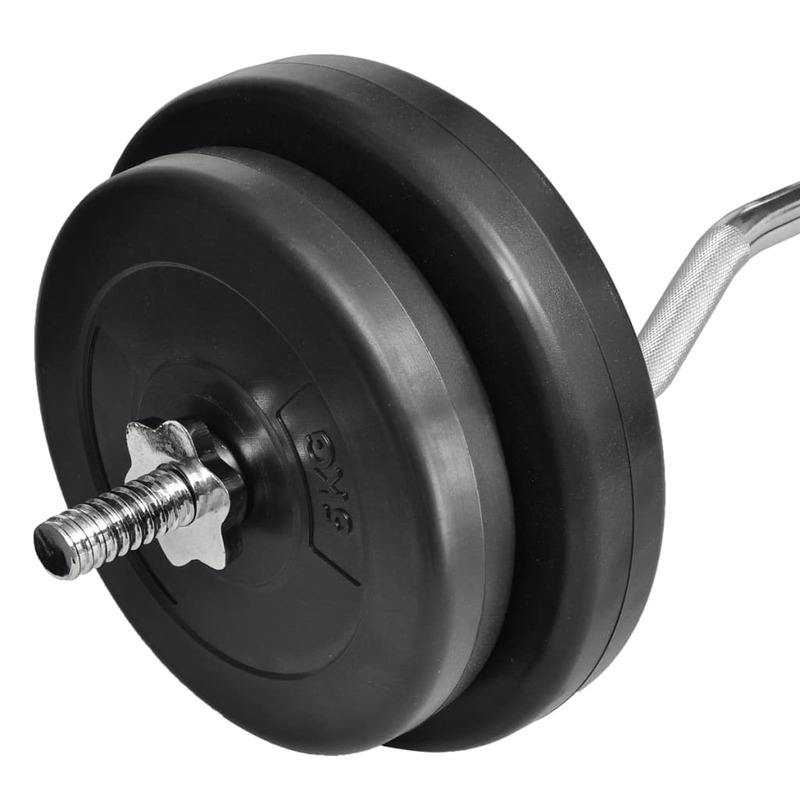 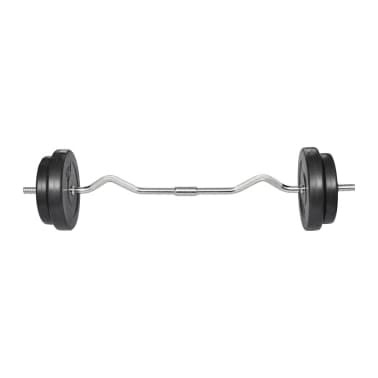 This curl bar with weights is great for home or personal training centers. This set consists of a curl bar of 5 kg and weight plates with a total weight of 25 kg. 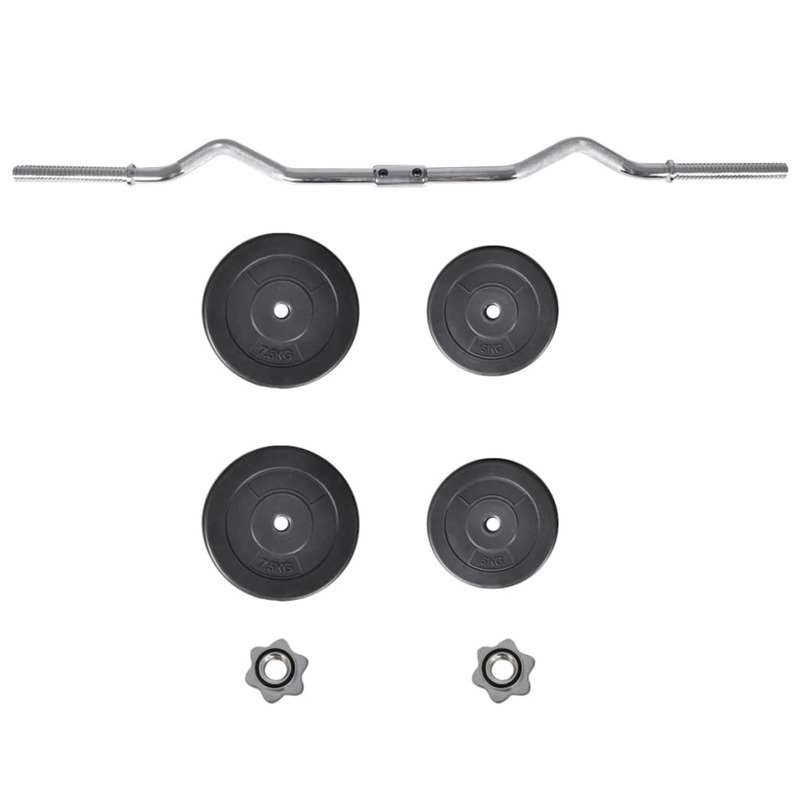 The curl bar set can be combined with our weight benches or/and our dumbbell sets for an even better training effect. 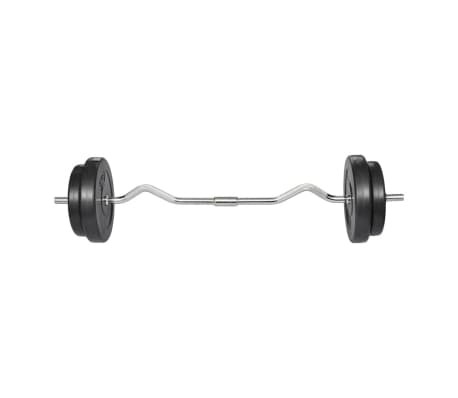 The length of the curl bar is 120cm. 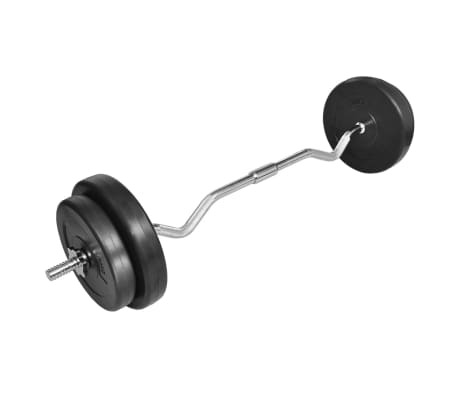 You can easily make various combinations with the four plates, 2 x 7,5kg and 2 x 5kg. 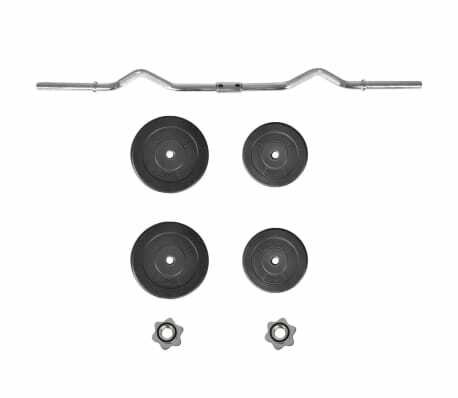 The star shaped screw collars ensure that the weights stay in place. 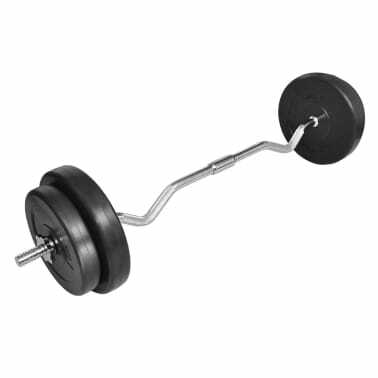 The bar grip handles have a special structure for optimal grip during exercise. 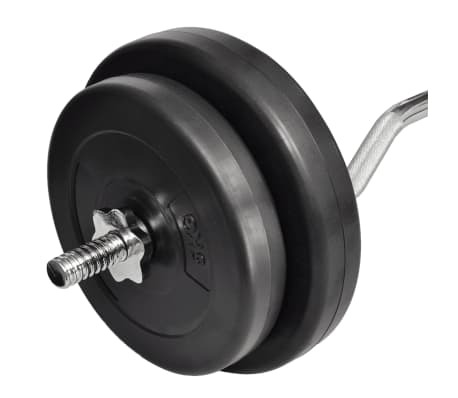 The weights have a noice-reducing plastic casing.